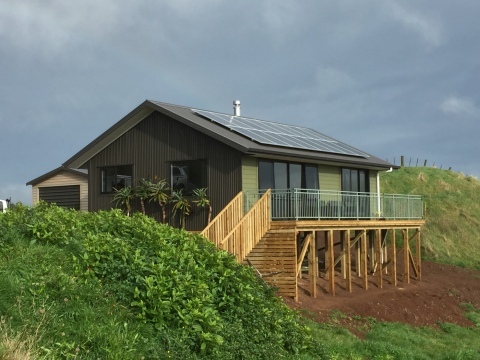 Super cute 70sqm Kea with hipped roof built on site in Raglan. Great plan and size for country sites. Just waiting on landscaping. Check out the grid solar. Ask one of our friendly team for more info.